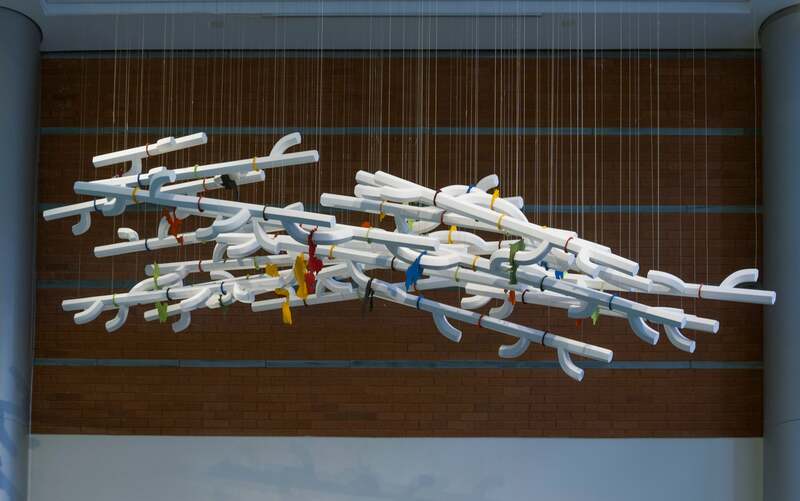 Alex Hibbitt (Athens, OH) constructs complex modular and suspended sculptures of cast white porcelain intersected with colorful cut felt shapes that explore ideas of complexity, connectivity, and the relationships between 2-D, 3-D, and the virtual environment. 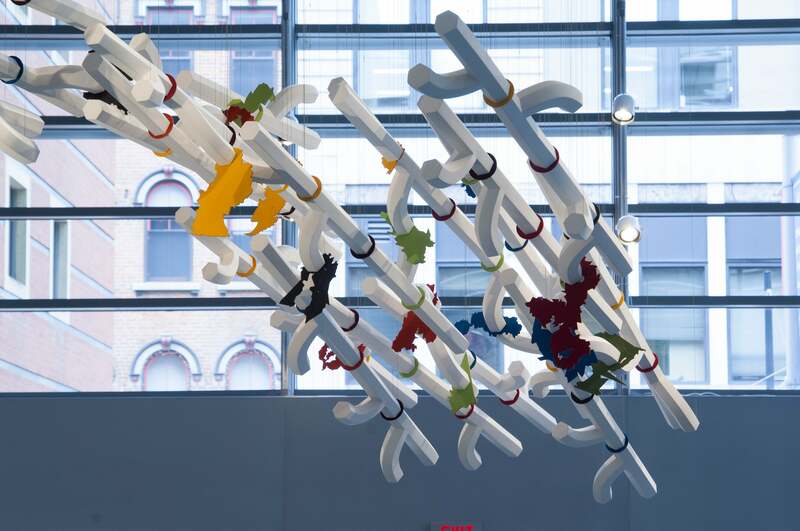 Rhizome consists of multiple castings of individual abstracted “branch” forms multiplying across and out into the space, intersected by numerous floating shapes made from colored felt which suggest the mapping of space or nodes of data. 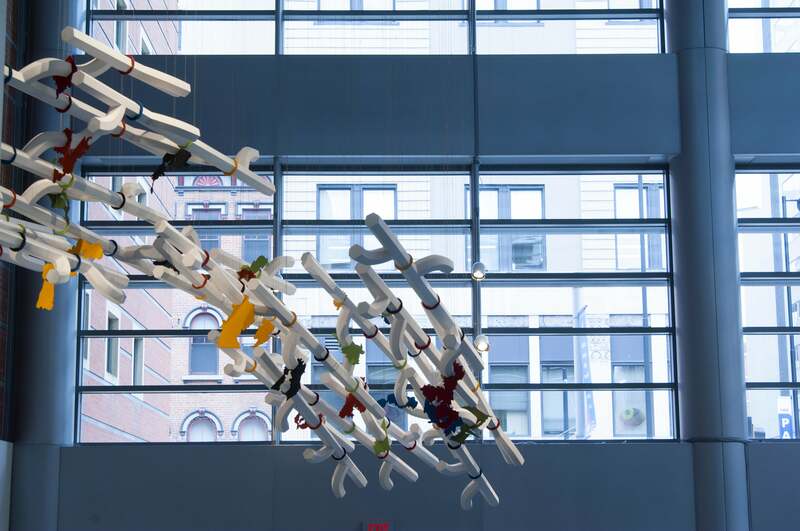 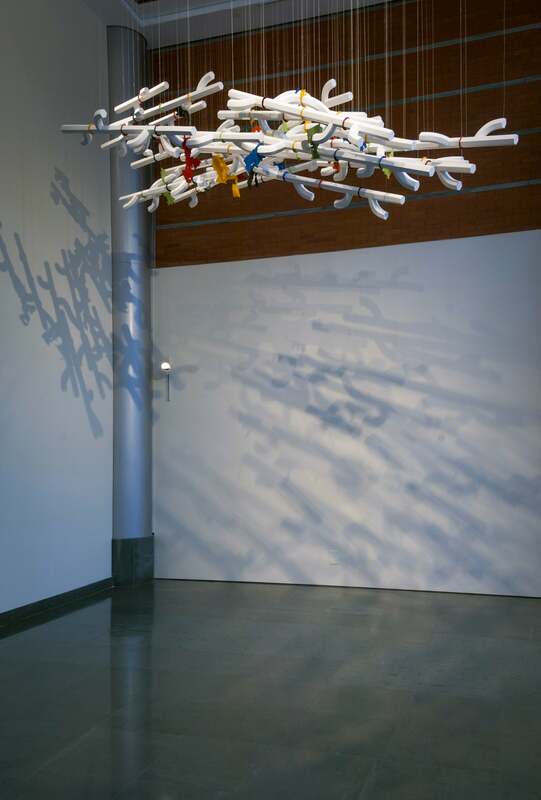 Suspended above the viewer’s head, these delicate and precisely made forms combining porcelain and felt suggest an intricate symbiotic relationship that is continuing to evolve and expand. 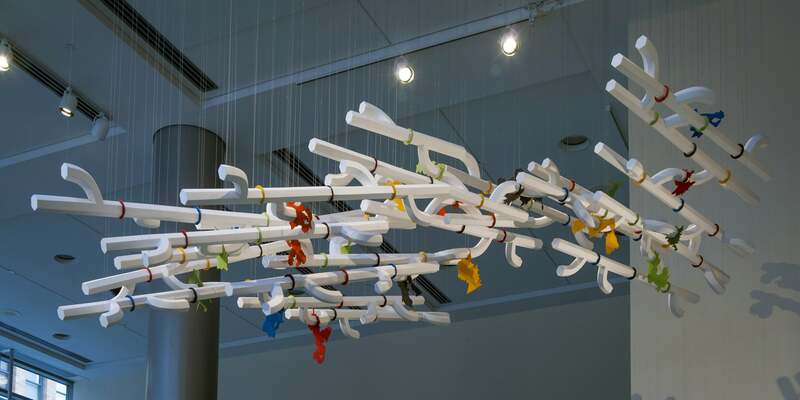 Born in London, England, Alex Hibbitt is Associate Professor of Art at Ohio University, in Athens, OH. 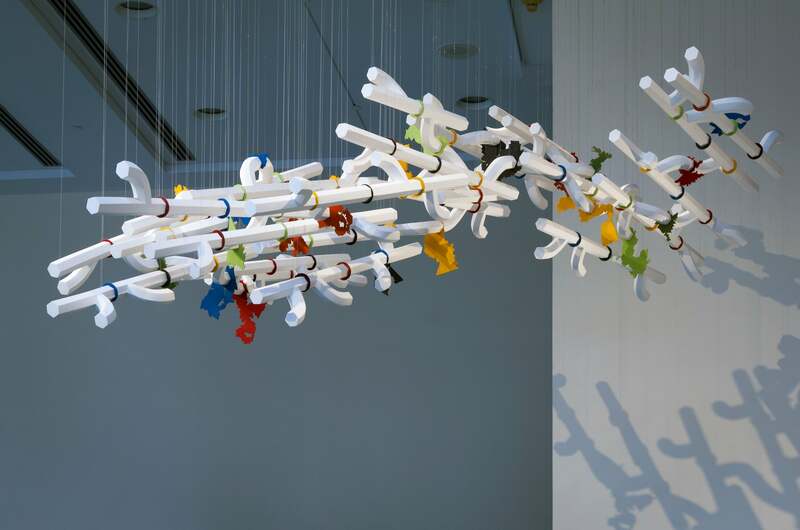 Hibbitt earned a Master of Fine Arts from Alfred University in Alfred, NY, and has undergraduate degrees from Camberwell College of Arts in London, England, and the Gerrit Rietveld Academie in Amsterdam, The Netherlands. 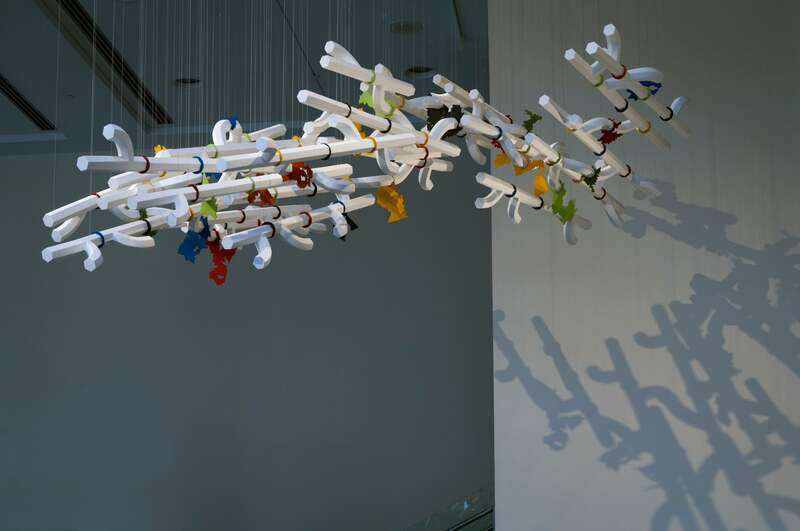 Her work has been widely exhibited both in the United States and abroad, including the Victoria and Albert Museum in London, England; the Museum of Decorative Arts in Prague, Czech Republic; De Witte Voet Gallery in Amsterdam, The Netherlands; and the Soap Factory in Minneapolis, MN. 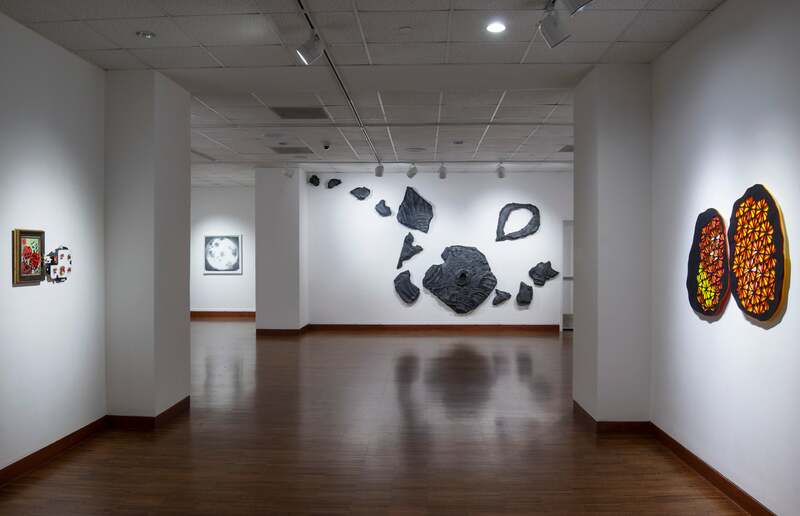 Recent solo exhibitions of her work have been featured at the Appalachian Center for Crafts, Smithville, TN (2016), and The Mattress Factory in Pittsburgh, PA (2017). 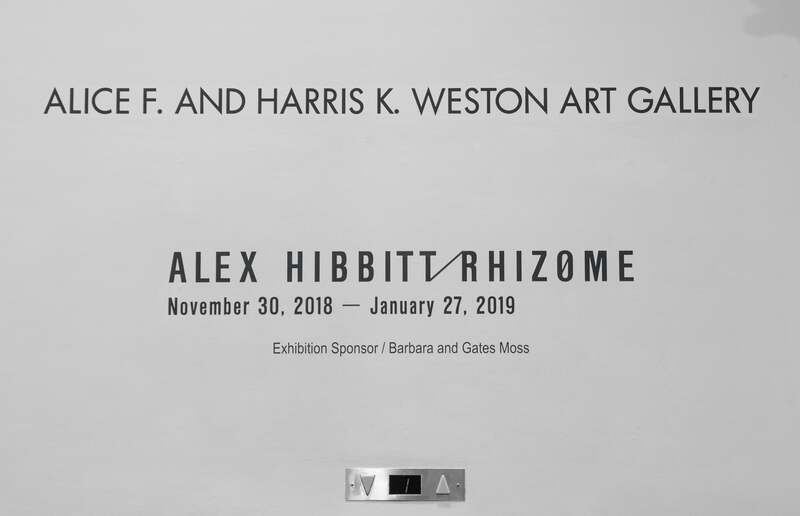 Hibbitt has been a visiting artist and speaker at, among others, Minerva Art Academy in The Netherlands; Denison University, Granville, OH; the Clay Studio in Philadelphia, PA; the University of Minnesota, Minneapolis, MN; and Ohio State University, Columbus, OH. 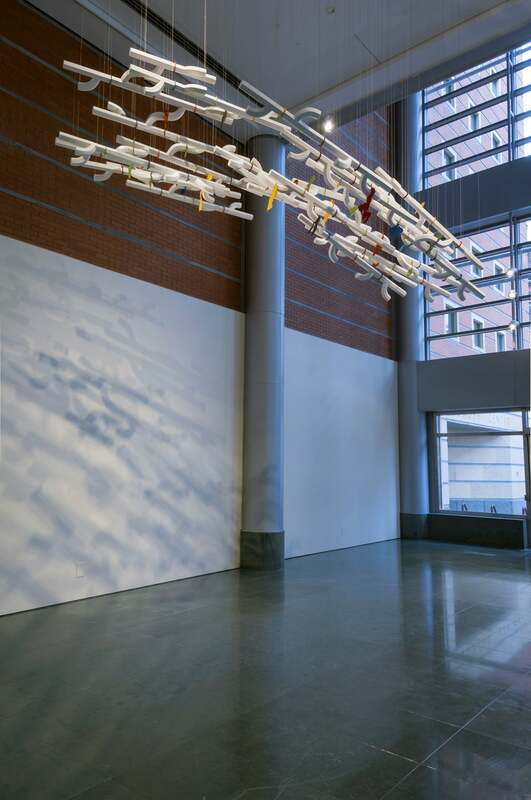 Her work is held in private and public collections in Europe and the United States. 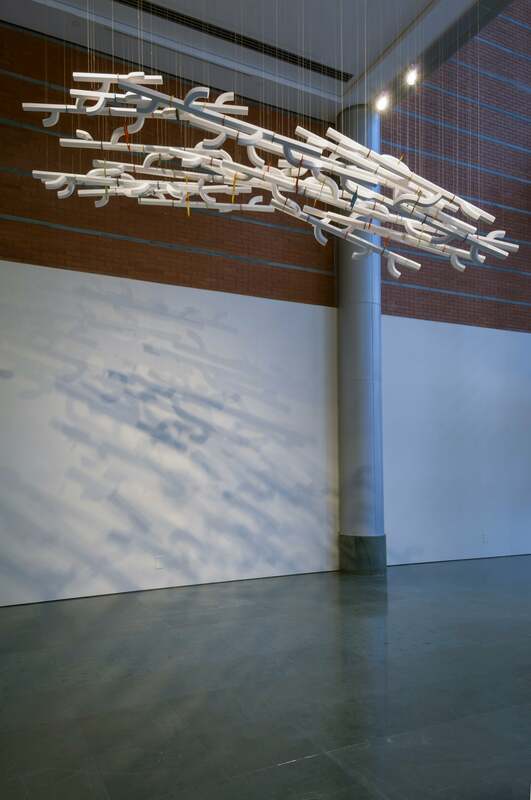 She was awarded a McKnight Foundation Residency Award at the Northern Clay Center in Minneapolis, MN (2010), and Ohio Arts Council Individual Excellence grants (2006 and 2014).